Scarygliders - Hardware, Software & Life hacking, random everything. Important note: If you have an issue with o-Matic, please visit the github page and file an issue there, at https://github.com/scarygliders/X11RDP-o-Matic/issues , as I have not been working on o-Matic for a long time now, but it is being actively maintained on Github. The --bleeding-edge switch has been removed, in favour of a new --branch switch. Generated packages (.deb) will be named according to the chosen branch – see below for further information. Let me know is any problems arise. All pull requests, issues and wiki pages should still work. I have updated o-matic to v3.03. 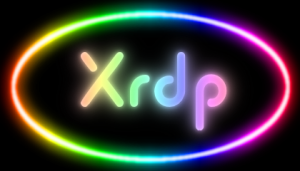 Uses the neutrinolabs xrdp git repository at https://github.com/neutrinolabs/xrdp by default. Added a number of additional command line switches which when used include additional modules or modes when X11rdp is being built. Added wget to the list of packages to be installed, by request of a user, to cater for some types of virtual machine installations. See the X11RDP-o-Matic Information Page for full details. This has an update to RDPsesconfig.sh. It should now take into account non-local user accounts, such as Active Directory, LDAP accounts, etc. as well as whoever’s in /etc/passwd locally. Version 3.01 now includes a patch to the X11rdp rdp/Makefile, in an attempt to fix the non-linking of GL to the X11rdp binary. 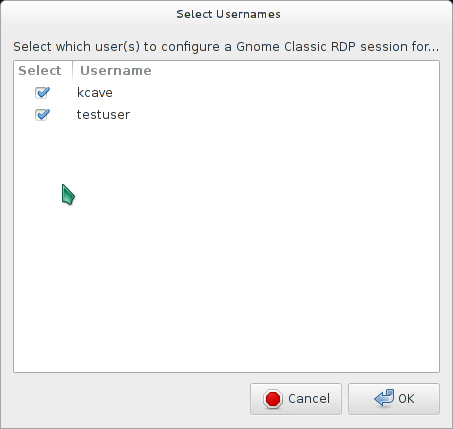 This should prevent X11rdp from crashing when an attempt is made to run programs which try to make calls to GL – this includes Firefox and other programs. The new release is in the master git repository, so just clone from master as usual. v3.0beta of my o-matic build-and-configure tools is working pretty damn good, and is available for download from my github repository. Then run in the usual manner. For "unknown/untested" distros, RDPsesconfig now actually has a "select desktop" menu – this was omitted in earlier versions and I now have fixed this in Beta 3. Please test this beta version and if you have suggestions/patches/etc, use the resources at the Github repository to raise issues, pull requests etc. Guillaume FRANCAIS: Thank you very much for this tutorial. It works good for me.